One can never experience Maine the same way twice. With 5,500 miles of coastline (Fact Sheet) and countless coves and islands there is something new to explore literally around every corner. Having anchored once again at Swan’s Island, we certainly didn’t want our visit to Maine to be a repeat of familiar places. 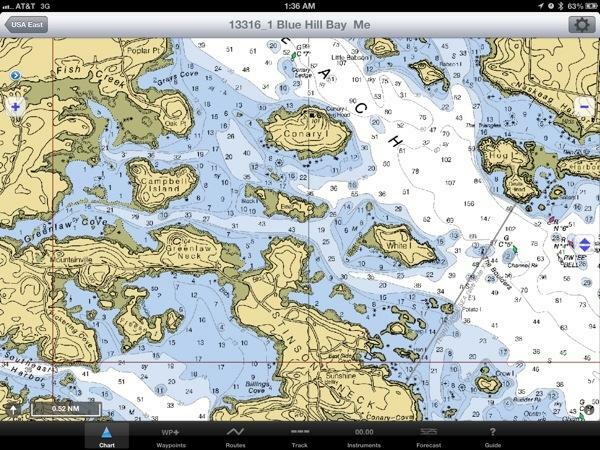 So we departed Mackerel Cove, Swan’s Island with no specific plan but just to let the wind determine the day’s route. 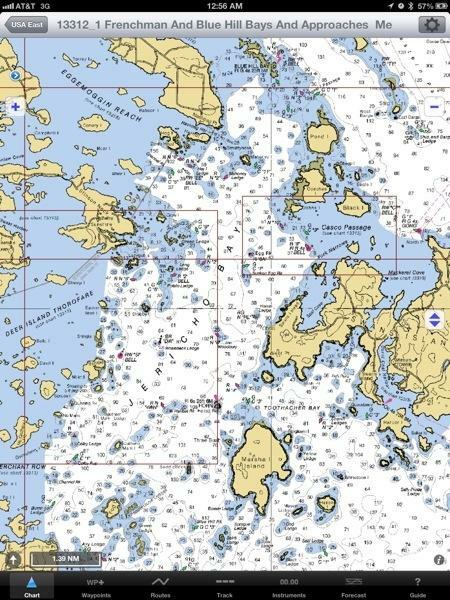 Our final destination was Rockland, Maine…or so we thought… The wind was not holding true to the forecast; instead of the predicted south winds when we exited the Casco Passage and entered Jericho Bay we had west winds. 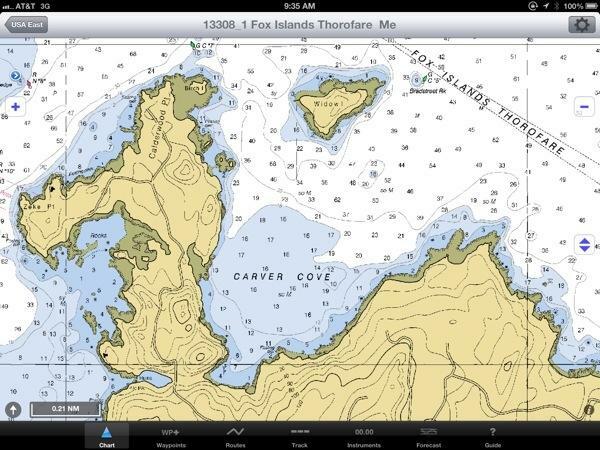 Do we head west through the Deer Island Thorofare (turn left) or northwest through the Eggemoggin Reach (turn right)? After some quick chart plotting, a consult with the calendar, and a review of our ship’s food stores we devised a plan. With the west wind we agreed we’d get the most sail for our efforts by traveling through Eggemoggin Reach. Heading north our new final destination would now be Islesboro, Maine where we’d have ample time to explore a new place prior to attending our next scheduled event. As we crossed Jericho Bay, having shifted gears, just when the entrance buoy to Eggemoggin Reach was in sight, the wind stopped. 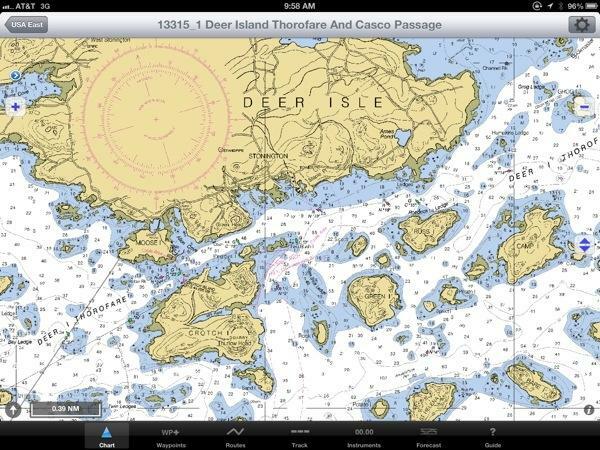 Eggemoggin Reach runs between Deer Isle and mainland Maine. This stretch of water is roughly 10-miles long and one-mile wide. Eggemoggin Reach had been described by A Cruising Guide to the Maine Coast (Hank & Jan Taft) as, “…an exhilarating sail in either direction.” This majestic reach, bordered by rocky shorelines where New England homes were tucked neatly between evergreens, sat awaiting Rode Trip as our forward momentum slowed near the entrance buoy. No wind. Brian was determined to sail the reach and painstakingly tweaked sails to catch every last breeze. Soon (or at least within the hour) we were nosing our way into Eggemoggin Reach. There were 10-15 knots of wind being funneled down the reach but it was coming from the northwest. 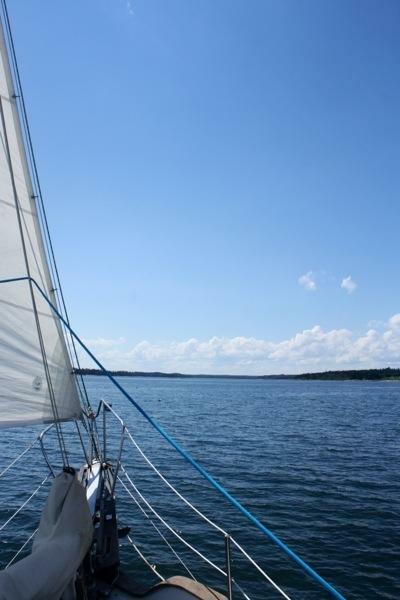 And so we began our exhilarating sail, not on a broad reach, but instead tacking back and forth sailing upwind. Thank goodness the sun was shining! We held another crew meeting at the helm to adapt the day’s plan. To avoid racing the sunset and inevitably losing, we decided to anchor so that we could enjoy the afternoon and maybe catch a break for a broad reach sail the following day. 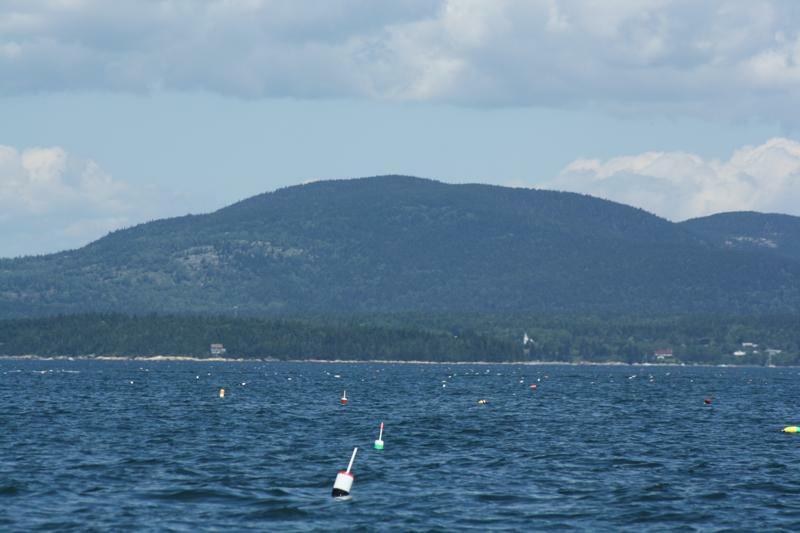 We anchored at Greenlaw Cove; approximately five miles from the entrance buoy on the south side of Eggemoggin Reach. Upon entering we were blasted with a headwind and pushed by a strong current northbound current. I took down the genoa and Brian steered under the main for a while without making much headway against the current. When we’d backed far enough the main came down and the engine came on to motor us through toward the southernmost end of the cove. We anchored in 14 feet of water with good, mud holding. This was a large, open cove with protection from west which we’d recommend only during settled weather. 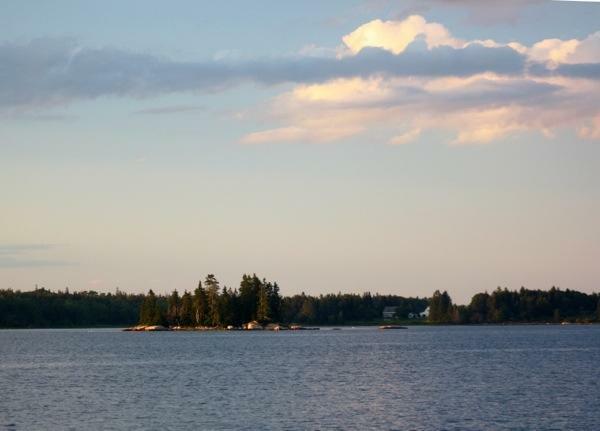 A Cruising Guide to the Maine Coast (Hank & Jan Taft) agreed with our assessment that Greenlaw Cove looked intriguing on the chart, “…but has little scenic beauty or interest.” Now I don’t know how to rate scenic beauty, but we more than pleased with our surroundings. We kayaked the perimeter of the cove admiring sprawling fields, rocky shorelines, dense pine forests, tidal nooks and crannies, beautiful homes…and of course wildlife including herons, guillemots, gulls, seals, minnows, and mackerel…it was lovely! And not another cruiser in sight!